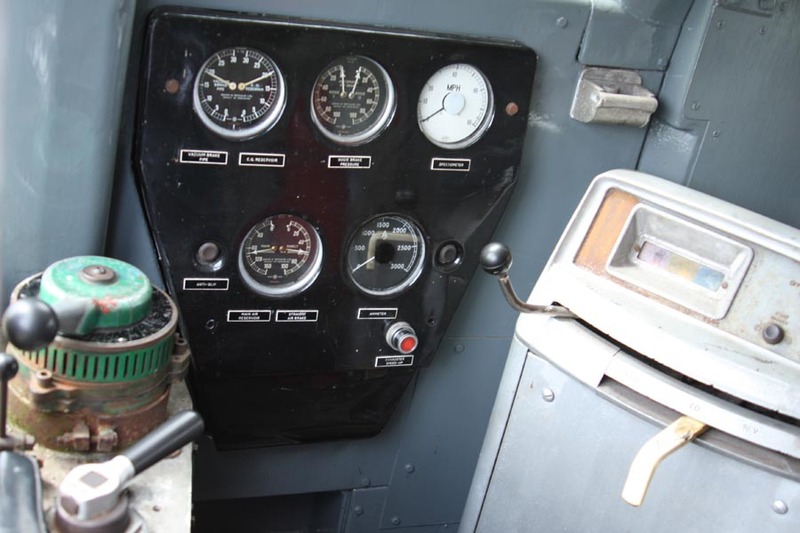 The controls of 24 081. Known as slot machines due to the unique style of controller, drivers hoped in vain to win the jackpot if they got three fault lights up! This loco still has it's original EQ vacuum brake, makes for an interesting driving experience.